The U.S trucking industry is struggling to find qualified drivers to fill tens of thousands of jobs. Across the country, trucking companies are scrambling to find drivers. There are approximately 3 million professional truck drivers in the United States, according the American Trucking Association. 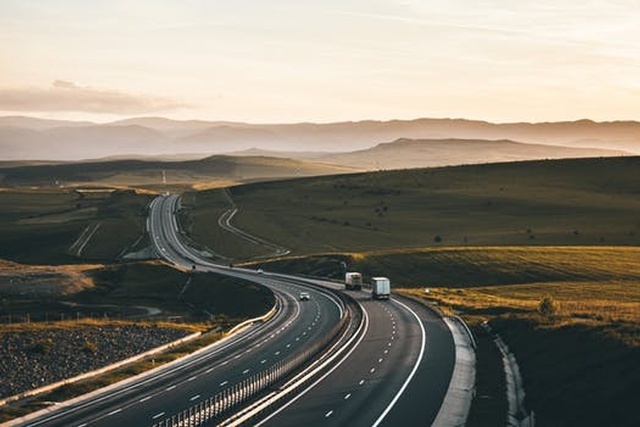 The association estimates the trucking industry has a shortage of 50,000 drivers and they expect that number to skyrocket to 170,000 by 2025. Thousands of truckers lost their jobs during the recession but the industry rebounded. Trucking companies started hiring and fuel prices remained cheap. But hiring for long-haul, 18-wheel drivers has stalled due to high cost of fuel in addition to the low unemployment rate. Truck drivers are crucial to the economy. The report notes that more than 70 percent of freight in the U.S. is moved by trucks. Supply and demand and on-line ordering through companies such as Amazon and Walmart have made a strong footprint and enforces the need for more qualified drivers. Without truck drivers, America comes to a halt. An aging trucking population, low wages, background checks, and a new federal safety regulation that restricts hours on the road have contributed to the shortage. The electronic-logging device mandate was designed to lessen driver fatigue and make the roads safer but according to Craig Anthony Bracey it did not “encourage improvement”. Bracey, 51, has been a long-haul truck driver since 1985. He used to set his own schedule during his nearly 70-hour workweeks. He'd drive for eight hours, take a nap for four to six hours as the receiving company slowly unloaded his truck, and then drive for another five hours. That's no longer possible. 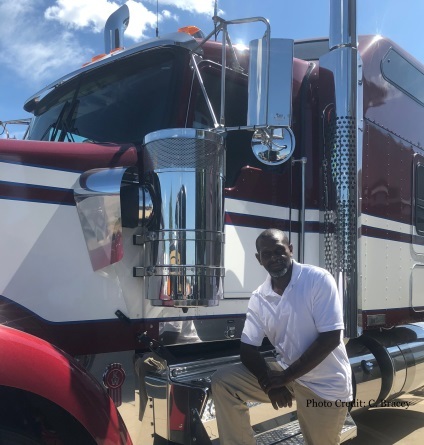 Since December, drivers like Bracey have been required to keep an electronic-logging device in their trucks to ensure they don't drive for more than 11 hours a day, work 14 hours a day total, and take regular breaks. An aging fleet of drivers is one of the reasons for the shortage. The average age of a commercial truck driver in the U.S. is 55 years, according to The Bureau of Labor Statistics. The American Trucking Association agrees that the aging truck drivers are contributing to the storage. “A lot of the drivers are retiring”, said Bracey. “Senior drivers are leaving, and so is their dedication and knowledge”, he said. Drivers are often on the road for two to three weeks at a time. That means missing important family events. “The most frustrating thing is being away from my family”, says Bracey. “I am away from my home way too much and the burden on my family is heavy”. During my earlier years; I was out seven days and home for two. Taking on more runs was necessary to keep the bills paid. Truck-drivers salaries are 50% lower than they were in the 1970s. “Salary increases is needed for senior professional drivers in the trucking industry”, Bracey said. The cost of living increase does not reflect a trucker’s salary. My salary today is very close to the salary I made ten years ago…overtime is necessary. We are “land pilots,” yet our salary does not reflect that, he said. However, on my last job of 8 plus years I had reached my salary max. His advice for new drivers is “ask the most important questions such as accrual usage for co-driver vs solo driver”. If the shortage grows and drivers become even more scarce, disruption will follow. This will lead to shipping delays, the cost of carrying cargo rises, understocked stores, and higher costs of inventory. Trucking associations are backing legislation (DRIVE Safe Act) that would allow truck drivers younger than 21 years old to cross state borders to help fill a driver shortage. Most states allow 18-year-olds to obtain a commercial driver’s license, yet federal law prevents them from driving outside state borders until they are 21. The legislation known as the Developing Responsible Individuals for a Vibrant Economy Act, (DRIVE-Safe Act) outlines a plan for a rigorous program to develop skills and provide safety training for younger drivers. Safety groups argue younger drivers are likely to be involved in fatal accidents and that the bill’s training requirements are inadequate. Under the legislation, young drivers would have to meet the requirements to obtain a commercial driver’s license. They would receive training that include two probationary periods. While on probation they would be permitted to drive outside state lines only when accompanied by an experienced driver. The truck drivers would have to complete a 120-hour probationary period of on-duty time, in which 80 of those hours must be spent driving. Then, they would have to undergo a second 280-hour probationary period when the driver would drive for a total of 160 hours. The depth of the driver shortage is slowing down business, and this proposal is an effort to widen the driver pool. But to truly increase the available pool of applicants, many believe trucking companies needs to continue reaching for “non-traditional” drivers and that includes women. Different approaches are needed to recruit and retain female workers in the transportation industry. As of 2014, only 5.8% of truckers are women. Because of the growing shortage of drivers, many companies are starting to recruit women. According to the ATA, since 2014 there are approximately 28,000 women truck drivers. To attract more drivers, trucking companies will have to raise the pay. A recent ATA report finds drivers are starting to get paid more. The report says the median salary for a driver is more than $53,000. This is an increase of $7,000. While pay and benefits of course matter most of all, truckers desire to be appreciated for the work they do. “Truckers are dedicated workers; we get the freight to the shipper via rail, air or sea” Craig Anthony Bracey, says. To try and keep drivers, Bracey says trucking companies need to understand the lifestyle demand of a trucker. “If more companies would really listen to the drivers, especially the senior retiring truckers…invest in your driver like he or she has given of themselves for you.” Yes, the trucking industry is in a crisis; but the drivers are strained and their families are too.